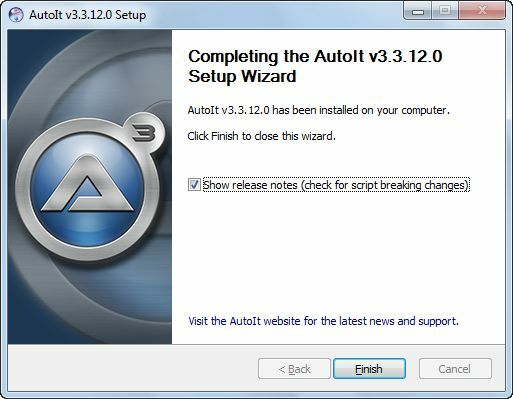 To install AutoIt first download the AutoIt exe file from the below location. 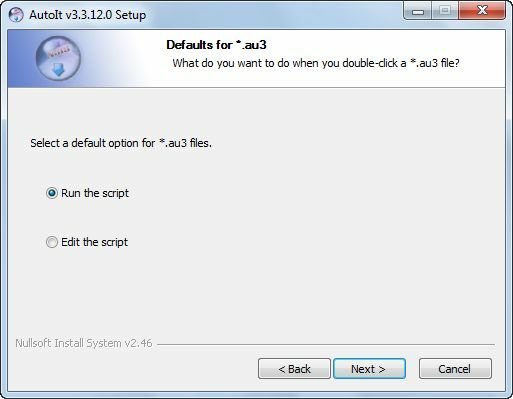 Click on AutoIt Exe file. It will display the setup wizard screen and asks you to click on Next button. 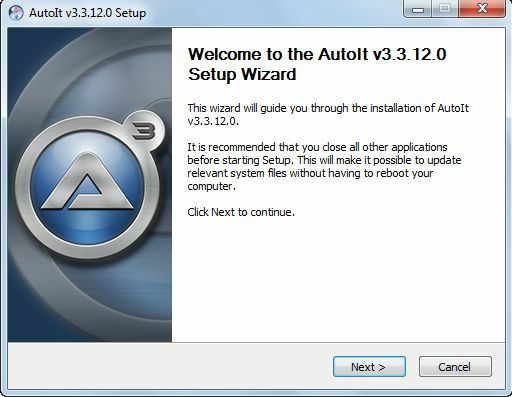 It will also display the version of AutoIt that your installing. It will display License Agreement screen. 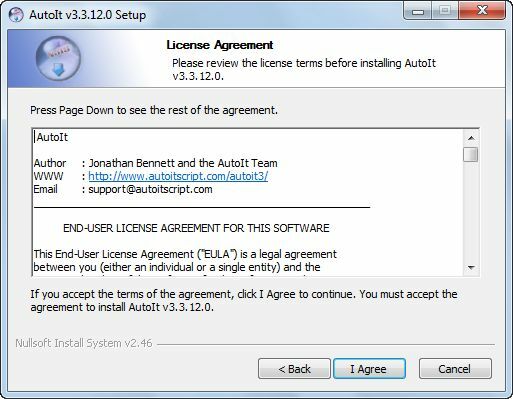 Click on 'I Agree Button' to accept the terms of the agreement if you want to continue the installation. 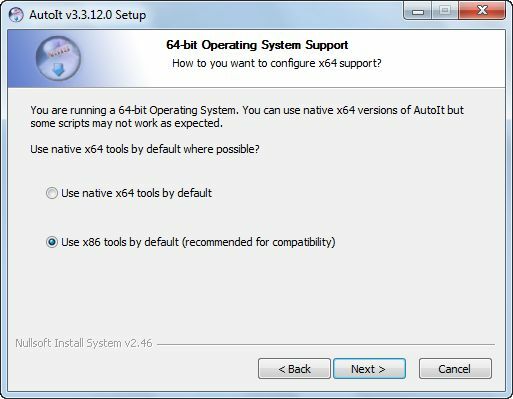 If you are running on 64-bit Operating system, it will ask you to choose from the below two options. Next it will Ask you to choose what type of installation you want. It will also show you the amount of space that is required for the AutoIt. 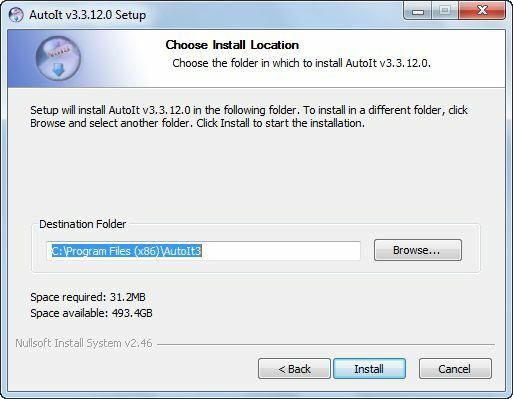 It will ask you to choose the location to install AutoIt. By default it will take the destination folder as Program files. If you wish to change, you can change the destination folder. It will display a message as, 'Please wait.. installation is in progress'. After that it will display message as "AutoIt vX.00 has been installed successfully on your computer". 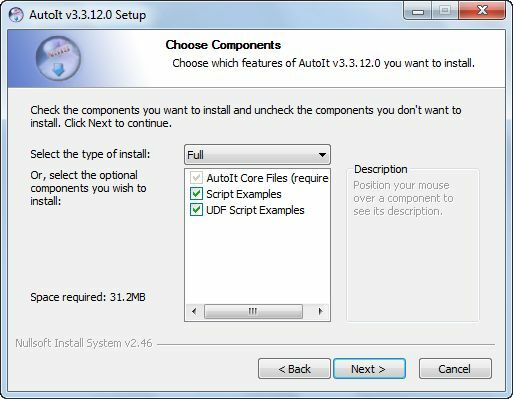 After installing successfully, please go the folder where the AutoIt is installed. In that folder, you can see the folder as 'Examples' where you can find many examples which will actually help you in understanding autoIt scripts. this is ok, BUT ! your example is ok, but how to attach a document in Internet Explorer using AutoIT ? 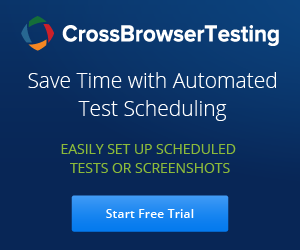 I know there is No solution for Selenium to support IE browser file upload rather than AutoIT!